This Government will not help you stay unemployed. But will help you get employed. On Labour Day, the government reaffirmed the magic that keeps this country going: we are a fair, not welfare society. The country wants Singaporeans to do well and succeed and will help those who help themselves. Those who do not want to do so will be given little sympathy (those who are unable to do so – that’s another story). 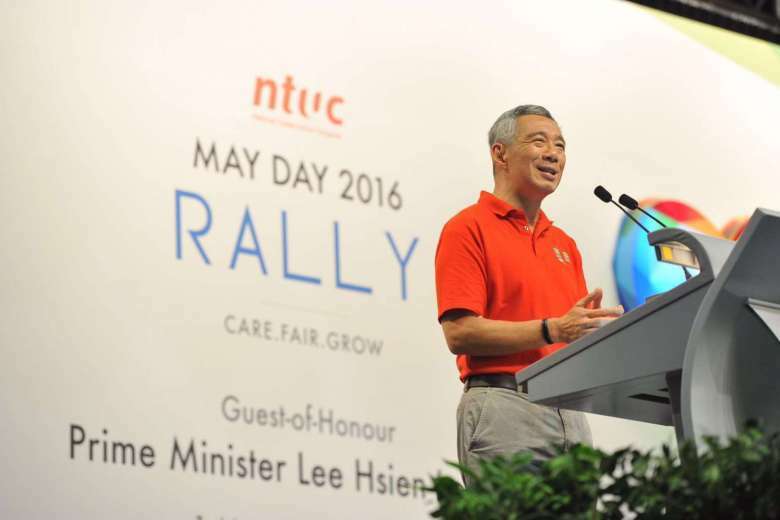 PM Lee took to the stage criticising the “unemployment insurance” and “redundancy insurance” purported by opposition parties in and out of Parliament. “We have schemes, paid for by the Government, not to help you stay unemployed but to get you employed”, he said. “So please support us and upgrade yourself, make yourself employable. He also chided the unemployment insurance programs as schemes where workers have to pay in advance to subsidise their own unemployment. In layman’s language, one must make oneself more valuable to the employer and with that, it is easier for the union or government mechanisms to push companies to pay better salaries. Without a smarter, productive and effective workforce that pipe in revenue and expansion possibilities for a company, there is little reason why manpower costs must increase. And one of the best ways to stay relevant to your employer and also to do yourself a big favour, is to sharpen your mind through upgrading. To this effect, NTUC will be partnering Nanyang Technological University (NTU) in a venture that aims to reach 30,000 people – especially the Professional, Managers, Executives and Technicians demographic (PMETs). Admissions into NTU’s new College of Professional and Continuing Education (PaCE) will take into account a person’s working experience, apart from relevant academic background. It will also consider the constraints of a working person; courses are delivered online and the NTU will also have facilities near the city for face-to-face classroom time. 28 undergraduate-level courses for part-time study will start from August 2016. To fund this partnership, NTUC will raise $50m and the Government will match every dollar with three, contributing another $150m. Altogether workers will get a $200 million boost to sharpen their skills. “NTUC knows what workers need and how to get workers moving. NTU has the expertise in continuous education and technology enabled learning, and wants to reach out to the working population” assures the Prime Minister.